If you are shipping to Washington, shipping from Washington, shipping within the state or looking for the most reliable Washington movers — TSI will get the job done efficiently, reliably, and cost-effectively. TSI is a leading LTL (less-than-truckload) shipping and moving company, with a fleet network that covers the entire continental United States. Our nationwide coverage is very important for shipping to and from Washington — because of the state’s Pacific Northwest location, shipping can get very expensive and transit times become quite lengthy. We’ve got shipments moving in Washington all the time, so we can fit your job into our schedule with ease! Wide range of top-quality services. TSI specializes in the transportation of furniture and items that are heavy, irregularly shaped, and/or extremely valuable. We serve both residential and business customers, and can efficiently ship any items too large for parcel shipping. We handle complete residential and commercial moves, as well as individual items. No hassles, headaches, or surprises. With TSI, all the details of the move will be handled for you. We complete all the shipping paperwork, give you pointers for prepping your items for shipment, handle the prep if you are too busy or unable, provide curb-to-curb service, and provide detailed quotes and invoices. Reliable and economical. 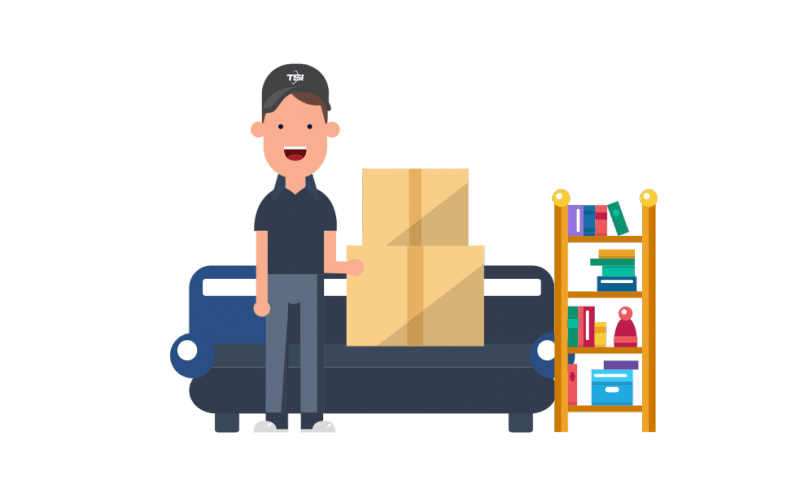 Most importantly, your delivery will arrive within is estimated delivery dates, with your items arriving in the same condition they were at pickup. Founded in 1989, TSI is a leading provider of moving and shipping services. Since a large chunk of our business happens in Washington — shipping products to or from the state, helping residents and businesses relocate — we’re well positioned to help with your transit needs. TSI is fully licensed by the United States Department of Transportation and approved by multiple organizations, including UPS and the Associated Mail and Parcel Centers. We provide long-distance moving services through major national carriers such as Bekins and North American Van Lines. Thanks to affordable rates, excellent service and years of experience, we’re the LTL freight company people trust in Washington and beyond. Why choose TSI as your Washington shipping company? Because of our high volume of business in Washington, we can schedule your pickup promptly, combine it with other orders to fill the truck trailer, and make the delivery. Your items won’t be gathering dust in your garage or a consolidation warehouse. Courteous, knowledgeable customer service reps, drivers, movers, and logistics specialists. We monitor your order from start to finish — if a problem crops up, we find it, fix it, and tell you about it. We pride ourselves on providing phenomenal customer service. Our reps are always ready to help you. If you have any questions or concerns, don’t hesitate to reach out to us! TSI is licensed, bonded, and insured to conduct business in Washington. We have a complete understanding of the state’s trucking regulations and know the fastest, safest, and most economical routes. The two gentlemen who picked up and delivered my shipment were courteous and professional. They did an excellent job. TSI does exactly what they say they will do. It is important that the shipper understands the time needed to complete the transaction and remains patient. Thank you for a job well done. Excellent job. Packaging was difficult, but it all arrived safely. Thanks! Give our Washington shipping specialists a call at 1-800-626-1257 to get started. Or request an online quote now.